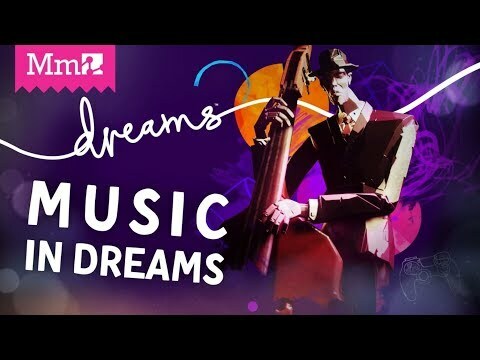 A few days ago Media Molecule made an impressive presentation of the eagerly anticipated, by me at least, game for the PS4 console called Dreams. It’s not only a game actually. It’s something like a sandbox, or platform if you wish, to make whatever you... dream, assuming you have some (a lot) skills, passion, patience and time. It has a bewildering range of tools to make your games but also paintings, sculptures, contraptions and.. music. Of course you can combine all of this and make an interactive music video as well. 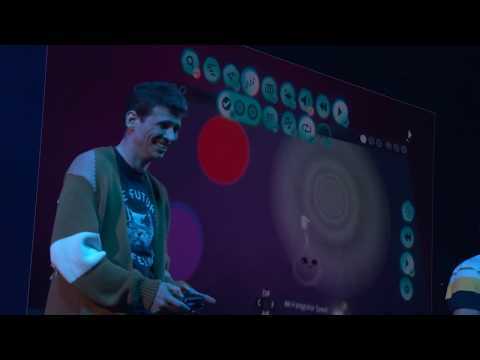 They did that in the Games Developers Conference 2019 here. It’s quite amusing if you have some time to spare. Music performance (not only) starts at 10 minutes. The founder of the company Alex Evans is responsible for the sound engine that has sampling, subtractive, FM and granular synthesis. Among other things many parameters of the sound engine can interact with various contraptions inside the platform leading even to create your own instruments. Of course the sequencer is quite primitive for music composers but there are a few utilities that will help you enjoy a jamming session like the video above shows 10 mins onwards. Bugging Alex on Twitter about midi in, he confirmed there will be a google protocol for this but with Sony behind the company, iI am not sure it will make it in the final version. A session about sound tools and interaction. I am not affiliated with the company. Just a heads up for creative persons. For a moment I thought I’ve found a soulmate. Blimey. I watched the first vid... not sure what to make of it. Never heard of this, but it looks interesting. I’ve been wanting something to use to create graphics, but I’m pretty satisfied making music with NS2. I saw PS4 mentioned. Will this also be available on PC? For a start I must say, considering company’s previous record, there is no chance this will make it to PC so you can stop reading now. Obviously you can make music on a much easier, friendly and professional environment than a PS4. It’s just music creation didn’t overlooked in favor of other aspects. I’m afraid it’s too difficult to explain what you can make of it because you can make anything you can imagine regarding music, computer graphics, animation and Fx or any combination of them, assuming you have an interest at electronics, mechanics, possibly programming and toooo much time on your hands. Additionally there are so many tools with so many parameters that may cast more confusion to newcomers than interest to veterans. Nevertheless at 16th this month, the company will release a limited early access build (post beta) to allow the more capable creators generate user content prior the yet undisclosed final release. If I manage to get a copy, I will return with some results, if I find them worthy. No, I’m usually not bright enough to stop reading when I should. I have none of that.... Sad really. I’m not looking for a music making platform - NS2 is that for me. Creating graphics is of interest, but probably not worth buying PS4 just for this app, which looks to be sorta difficult to figure out and very time-consuming. I would like to find a reasonably easy to use app for creating graphics for making music videos. I may be a decade or two too early for that. Definitely not worth buying a ps4 just for that. I find entertaining this kind of (games-platforms) because they either push your limits to think what it’s possible with the tools rewarding you with the satisfaction from the sense of achievement when you get there, die trying or just give up.